If you're looking for child abuse stories to help you deal with your own personal experience of abuse, or you want to share your own story so you can finally open up about what happened to you in a way that you won't be judged, you've certainly come to the right place. This is a safe haven for survivors. This is a place where survivors can disclose what happened to them as children. This is a place where survivors will be believed. This is a place where survivors will not be judge for what they endured. This is a place where comments are supportive and encouraging. There are so many of us survivors with stories to share. Yes, I am one of them. It was my own experience that drove me to create this site, because there was no place to turn when I was a child, and I really needed to turn to...someone. Someone who would believe me. Scars To Stars® is the program that resulted. If you want to be among the people who have courageously shared their stories, the process is easy and offers notification options when someone comments on your published story. NOTE: The Feedback and Comments section that used to be on this child abuse stories page has now been moved to another page. Check out stories feedback for all feedback and comments published up to and including August 19, 2007. Many of the story writers have never before felt safe enough to disclose abuse. Keep this site a soft place for them to land. NOTE: The ratings feature for comments has now been disabled. Consider the story writer's feelings. Disclosing abuse, even in a forum such as this, where there is anonymity, can be an extremely harrowing experience. An abuse survivor who writes a child abuse story often does so with great angst and trepidation. Offer support and encouragement. I cannot control who visits this site—some visitors may have perverse motives. Therefore, in order to keep my visitors safe, I do not permit the disclosure of any information that is of a personal nature, such as last names, email or street addresses or phone numbers. Not all websites and blogs are appropriate to this site. Therefore, I do not accept website or blog URLs to be included in comments; they will be stripped from the post. If you need some guidance, Do's and Don'ts provides additional story comment ideas. PLEASE NOTE: I only accept original material written by you, that has not been previously submitted to this, or any other, site. AUTHORS AND PUBLISHERS: I congratulate you and wish you great success if you have written and/or published a book about your child abuse experiences. However, I do not promote books on this site. Story contributions submitted for the purpose of promoting a book will not be accepted. I publish stories on this page in order for victims and survivors to have a voice. Please be respectful of that purpose. 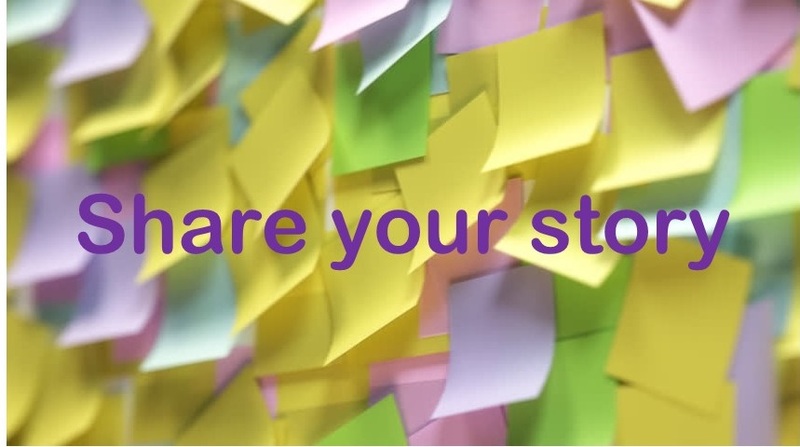 Want to share your story? Write it here! Don't keep the secret any longer. Go from Scars To Stars®...let the world know what happened to you. Share your child abuse story.